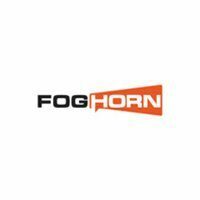 FogHorn is a leader in the rapidly emerging domain of edge intelligence (also termed “fog computing” or “edge analytics”) for industrial and commercial IoT applications. FogHorn’s breakthrough fog computing software platform is a critical element in enabling a new class of powerful real time edge analytics in a wide variety of industrial and enterprise use-cases. The vast amount of data being produced every day by the industrial machines in these settings dictates an edge-centric computing paradigm not only to minimize bandwidth costs but to address latency, reliability, security and privacy issues as well. FogHorn’s unique solution enables high performance edge processing, real time analytics and heterogeneous machine learning applications to be hosted as close as possible to the source of machine data in the industrial world. FogHorn’s technology has been embraced by leading Industrial IoT innovators like GE, Bosch and Yokogawa as well as major players in edge gateways (Dell, HPE, Intel, Cisco), IoT application development and systems integration (Accenture, TCS, Cap Gemini, Cognizant, Infosys, PWC) and cloud computing (Microsoft, SAP).